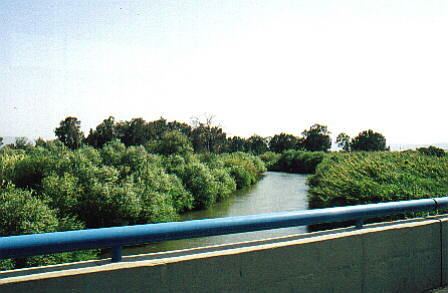 The River Jordan flows from four streams that commence on the slopes of Mount Hermon in the north close to the border with Lebanon. It flows in a southern direction for 45 kilometres to the northern shore of the Sea of Galilee. Then from the southern shore of the Sea of Galilee it snakes its way south to the Dead Sea, a total distance of 250kms.